Plotly is a platform for analyzing and beautifully visualizing data imported from Excel spreadsheets, CSV, TSV, Matlab data files, MS Access, text but also data streaming from any hardware device. 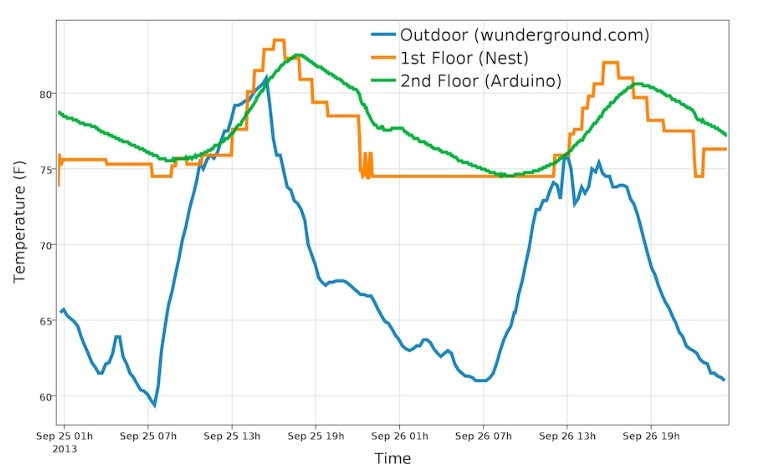 Matt, one of the co-founders wrote us that they’ve just released a beta of the Arduino API, that allows to continuously transmit data or transmit a single chunk of data from Arduino and then make interactive graphs in the browser. They’re a quite new startup (just three months in) so if you are a scientist, student, engineer, analyst, maker and you haven’t test it yet, give it a try!